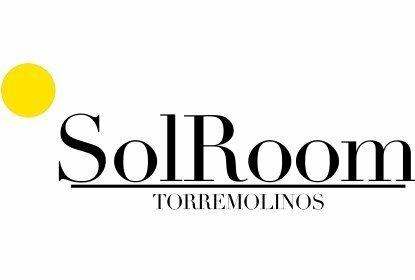 Torremolinos (Spanish pronunciation: [toremoˈlinos]) is a municipality on the Costa del Sol of the Mediterranean, immediately to the west of the city of Málaga, in the province of Málaga in the autonomous community of Andalusia in southern Spain. It belongs to the comarca of Costa del Sol Occidental. Once a poor fishing village before the growth in tourism began in the late 1950s, Torremolinos was the first of the Costa del Sol resorts to be developed. It is located on the western shore of the Bay of Málaga and in front of the Sierra de Mijas. It lies at a distance of 13 km from Málaga and is served by the A-7 motorway, which bypasses the city to the north, the Renfe commuter train and Avanzabus. In 2013 it had 69,389 inhabitants, making it the sixth largest city in the province. The township has an area of 20 km² and a population density of 3153.85 inhabitants/km², which is multiplied during the summer months. It is particularly popular with British, Irish and Scandinavian tourists and has a large British expatriate population. Areas of the town are spotted with older high-rise residential buildings and hotels but height limits on new developments and a significant number of original old town properties, have kept the town centre much more open than other popular resorts such as Benidorm and Fuengirola. Though there are many parking spaces on the beach road, it is almost impossible to park in the Summer months. The town centre does have many underground car parks however. 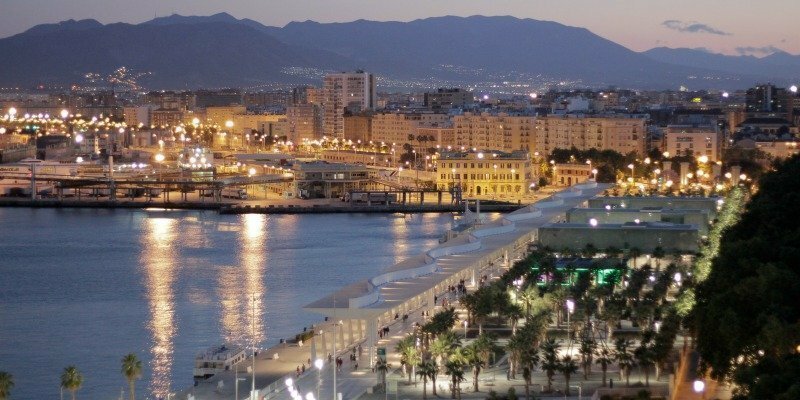 In addition to its tourism sector, Torremolinos is known locally for its vibrant and liberal nightlife, particularly its numerous bars and clubs catering to the LGBT community. Torremolinos will be hosting World Pride in 2017 in conjunction with Madrid. During the first half of the 19th century the town was rebuilt and by 1849 there were 14 mills, a fuller mill p Kraft paper and 785 inhabitants. With the demise of the mill, Torremolinos became a small fishing village until the end of the 1950s when it became one of the first tourist centre in Costa del Sol. In the 1950s many celebrities visited Torremolinos such as Grace Kelly, Ava Gardner, Marlon Brando, Orson Welles and Frank Sinatra. In 1959 Pez Espada hotel was opened, the first luxury hotel along the coast. In the following years, new hotels, nightclubs and others tourist establishments changed the face of the town and its beaches. By the year 1965, Torremolinos had become consolidated as a major tourist destination. 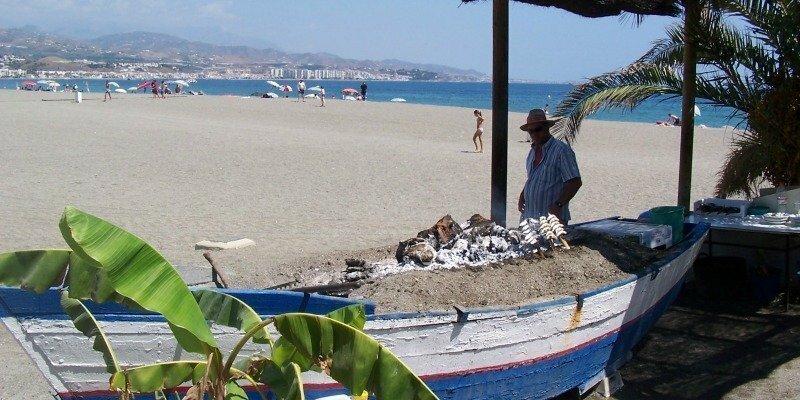 In Torremolinos you can find their famous Chiringuitos (restaurants on the beach) from the Carihuela, Bajondillo, Playamar, Costa Lago. At these bars you can eat fresh fish and seafood typical of the area; some of their people were traditionally fishermen. 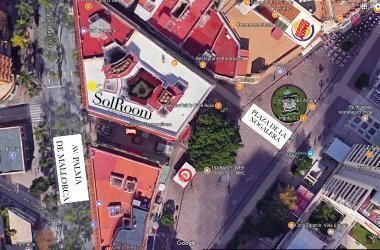 By 2012 McDonald's in the heart of Torremolinos had closed its doors, following KFC and Pizza Hut not least because of competition from native companies such as Telepizza and Matahambre. Only Burger King remains. Following the 2016 pedestrianisation of Plaza Costa del Sol, McDonald's, along with several other companies, have decided to reopen with the benefit a large terraces. -Danny La Rue World-famous female impersonator. -Alvin Karpis (1907–1979), Depression-era outlaw, lived his last years in Torremolinos after being released from jail by US authorities. -Gustavo Thorlichen, photographer of the Peróns and Che Guevara. -Nina Zhivanevskaya, bronze medal winner for Spain in 100 metre backstroke at the 2000 Summer Olympics. -Brendan Sheerin, presenter (tour guide) on the British television reality show, Coach Trip.